Home > News > How Do You Know If You Need Full-Mouth Reconstruction? Your teeth hurt. Your gums are bleeding. Your jaw is sore. You have loose teeth. You’re embarrassed to smile. You’re afraid to eat in public. Any of these statements indicate that something is not right with your oral health. To get your teeth and smile in working order, full-mouth reconstruction might be the path to take. Your Manhattan restorative dentist will tell you for sure. Trying to determine if you need to ask your NYC dentist about full-mouth reconstruction? The first thing you need to know is what full-mouth construction includes. There are many procedures that can fit into the definition of full-mouth reconstruction. In general, a large dental restoration includes a mix of restorative dentistry, cosmetic dentistry, and neuromuscular procedures. The goals are to strengthen your teeth, bite, and jaw so they work together properly, rehabilitate your gums, and create a beautiful smile. 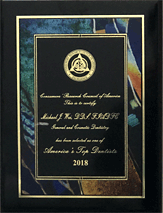 It doesn’t matter what condition your teeth or in or what restorations you need, every full-mouth reconstruction plan is unique to the patient. Every patient is different, which eliminates any possibility of a one-size-fits-all treatment. Start with a clean surface. Your gums and oral health in general must be completely healthy and stable before any restorations or cosmetic dental procedures can begin. If necessary, gum disease treatment will be undertaken first to restore your gums to good health and make them sturdy enough to receive restorative efforts. Preparation may also include tooth extraction, root canal therapy, or cavity repair. Usher in the new. Extensive dental restorations usually include the repair of broken-down, problem teeth and/or the replacement of many missing teeth. 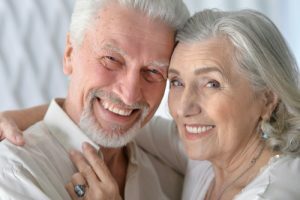 For many patients, their restoration includes permanent dental implants or dental bridges anchored with porcelain crowns. Be patient and committed. More than any other dentistry procedures, full dental restorations require serious patience. Cleaning and healing often must be done first, especially if you visit your dentist in a state of serious disrepair. This will take time, and the healing will too. Once your mouth is free of decay, infection, and other problems, it’s possible to get started with your chosen restorations and get on the path to a gorgeous new smile. The most important fact for you to know is this: We don’t care what condition your mouth is in now. Just get help for your oral health problems. Dental care is paramount – it affects not only the health of your teeth and gums, but your overall well-being. We have seen every possible problem and broken-down smile – you are not unique, but you will be super-smart if you finally make the decision to fix what’s causing you grief, pain, and embarrassment. Find out what kind of smile makeover and full-mouth reconstruction is right for you. 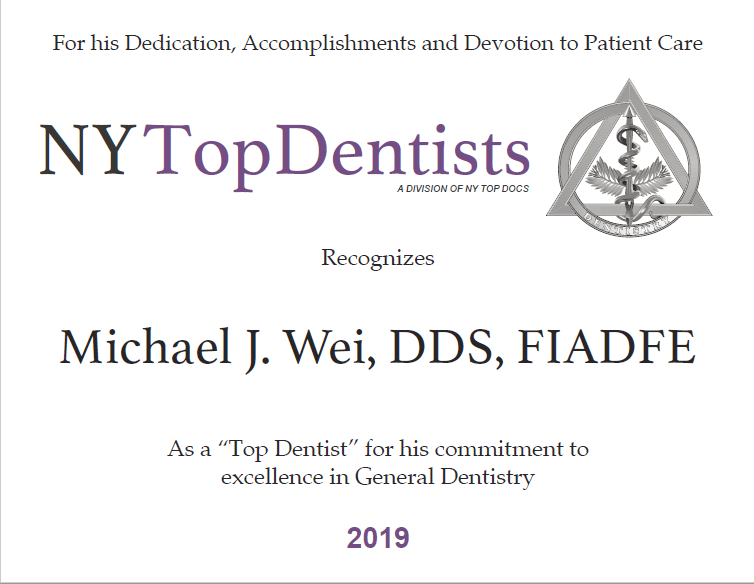 Schedule your appointment with Dr. Michael J. Wei at his Midtown Manhattan dental office on Madison Avenue.